Rylo, the 360 camera that became famous almost overnight for its stabilization, was also at CES 2018. I was fortunate to have the opportunity to interview Rylo’s founders Chris Cunningham and Alex Karpenko and they revealed a secret feature that makes a major improvement to Rylo! When I reviewed the Rylo, I was amazed at its image stabilization, hyperlapse, and FrontBack feature. However, one of the biggest weaknesses I found was that it had no wireless control and that there were no adjustments (such as exposure compensation). 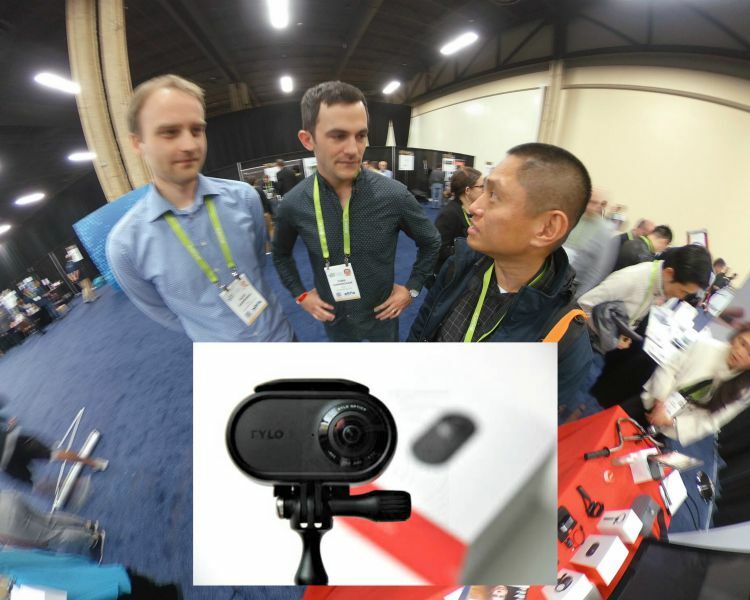 At CES 2018, I had the chance to interview Chris and Alex and I commended them for Rylo’s excellent stabilization but also mentioned my concerns to them. They said I wasn’t the only one who had made those observations. But they revealed that Rylo actually has a secret feature that addresses these issues: wireless Bluetooth control. Yes — apparently Rylo DOES have a built-in wireless Bluetooth control. That is HUGE. Not only will users be able to control the Rylo wirelessly but in addition, it also addresses the lack of a self-timer. The current firmware doesn’t have a self-timer, so all photos from the Rylo end up as selfies (with the shooter in the shot). In my review, I pointed out that this made the Rylo unsuitable for virtual tours and other types of 360 photos. With wireless control we’ll ls, be able to take photos with the Rylo without being in the shot, making it possible to use it not just for videos but also for virtual tours and other 360 types of photos. According to Chris and Alex, the Bluetooth would work with smartphones. In that regard, I asked them to consider making it possible to use it with a generic bluetooth remote as well so that it wouldn’t require a smartphone to use. Bluetooth capability also gives Rylo the potential to add exposure controls. The only issue is that Chris and Alex were concerned that it would become too complicated for their users. What do you think? Would exposure controls make the Rylo too complicated? Let me know in the comments! BTW Chris said the Bluetooth capability will be added “soon” (IIRC Jan or Feb). The other news from Chris and Alex is that the adventure case is back in stock! The adventure case is a dedicated waterproof housing for the Rylo. Not only is it useful for underwater shots, but also for protecting the Rylo from drops. At $499 ($425 with my discount code), the Rylo is by no means cheap. And all 360 cameras, including the Rylo, have lenses that must be cared or because fingerprints and scratches WILL affect your shot (unlike other types of lenses). So the adventure case is like insurance for the Rylo. The other cool thing about the Adventure Case is that it doesn’t add any glare to to the Rylo and it allows full control of the Rylo, so you CAN use it all the time. The only disadvantage it has compared to the Everyday Case is that it doesn’t have a hole for the Micro USB port (for obvious reasons). Because the Adventure Case is so useful, it went out of stock very quickly. But Chris and Alex told me they would be back in stock and true to their word, my pending order for my second Adventure Case indeed shipped a couple of days ago. If you want to get an Adventure Case, the good news is that you can buy them from me at a discount! Normally, the Adventure Case is $69 plus shipping and taxes. You can buy it from me for $50 + $5 for shipping. This is a brand new, shrink-wrapped Adventure Case with retail packaging, shipped to you directly from Rylo. This is not an off-brand clone or anything. To get this discount, just let me know you want to order one (via email or Facebook page message) and send me $55 to creadvty AT gmail using paypal or Google Wallet. Please note this is ONLY FOR US ADDRESSES at this time until Rylo starts shipping to other countries. Rylo – you can have your camera default to the auto settings for new/novice users. By not offering manual exposure controls you are basically shutting out a segment of users that are more experienced and might want to use Rylo for its stabilization, but still want the ability to adjust things like white balance (and for photos shutter speed, iso). Thanks Jason. Yes i agree! I even told them that they could even make 2 versions of an app with a second Pro app with unlocked features. No, adding exposure controls wouldn’t make the camera too complicated. Just have the option available to set the exposure controls IF a person wanted to take manual control of the exposure. IF a person didn’t want to have manual control, they could leave the camera in AUTO mode for the exposure controls. A second version of the RYLO app that had the exposure controls available for a price would be another way to as mentioned below in another comment. 1. As soon as you own an Adventure Case, I would be very grateful if you could thouroghly test it to see if it does not affect the stitching performance. 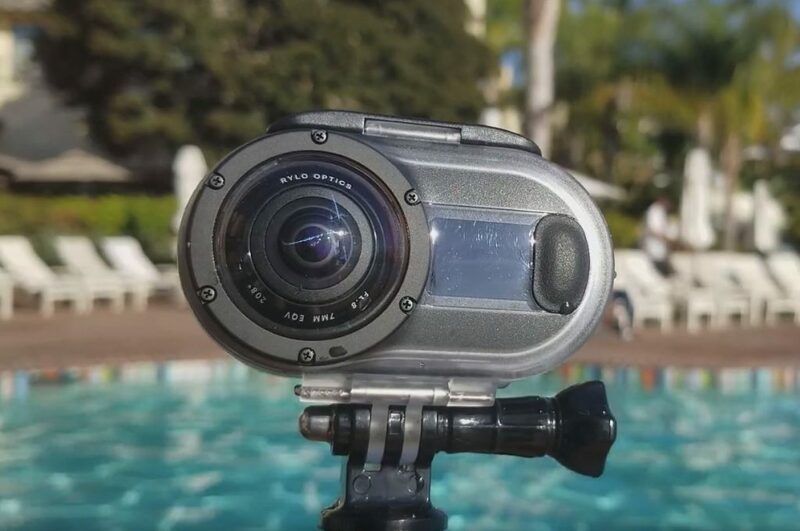 I still remember when the waterproof case for the Theta (S) was released it did a pretty poor job as the water running down the surface of the case affected the quality of the footage to a point where it was hardly of any use. 2. Seeing that you seem to be in good contact with the manufacturers and taking into account your position as influencer on the market with all your (and Ben’s :-)) experience, do you think it would be possible to ask Rylo to manufacture a case that is waterproof up to 40metres (similar to what gopro and other companies such as yi offer to their customers)? 3. Last but not least: When does Rylo start shipping to Germany? I cannot wait to lay my hand on that wonderful little item but amazon or any other (shipping) company does not seem to offer this cam up until now. Any news on that front? Well, that’s all for now, keep up the good work – I’m a big fan of everything you do as your newsletters and videos and of course the newly designed website are valuable sources of information to me! Thank you for doing this! Hi Oliver. Yes i’ve tested the adventure case underwater and there is still a small blind spot in the stitch line. You can see this test here (not mine): https://www.youtube.com/watch?v=dAlmhVo81_o i have an underwater comparison with insta360 one, LG 360 cam, gopro fusion, virb 360 and theta V (with the TW-1 case) but I haven’t had time to process the videos yet. But Theta’s new TW-1 case has the best stitch (although you will see case in the nadir) and it works with all versions of the Theta. M, does this mean that you guys are friends now? Thanks Mic for the Rylo updates. I like my Rylo and excited about the coming firmware… Just wondering, did they talk to you about those early reviewers on amazon? Have you considered adding a “pass through” storefront to your website that you could take orders for not only Rylo but all of the manufacturers (hardware and software) and then pass them on for a fee to be direct shipped? I can say I would buy from you just to say “Thank You” for all of your help and support. Hi Mark! Thanks for the suggestion. At one time I did but Amazon phased out that program. Perhaps I will try to do it again. Mic, thank you for everything you do in the 360 space! The Rylo will be my next step from my Mi Sphere. I just have to be patient for the release of the Android version. I also agree with giving the end user a bit more control. And I’m stoked about BT control too. Again, thanks for providing input directly to the folks who make the Rylo and then letting us know. Much appreciated! This is one sweet little camera. The stabilization is a life saver. I funded the SteadXP project last year for Gopro but in the end RYLO made that system to complex to use. I have just one (right now) issue with RYLO. The edited video can be saved for FCPX use only as 1080p. But full 360 as 4K. Any idea why?. I asked the RYLO guys but didn’t get a really good answer. I love this little camera. A couple of people stopped me at Breckenridge and asked for details. The edoited video is mesmerizing to watch. Yeah, I said mesmerizing. Thanks for the reviews. Thanks Gil! The edited video is 1080p because that is a non-360 crop of the 360 video. If you want an edited video that is 4K just select 360. I hope that makes sense. Can you still get the adventure cases? I heard that Rylo was sold out again, or at least a long wait. Hi PJ. Sorry, Rylo ended the discount program on Feb. 9. I will update the post. Hi Brent! A stabilized 360 camera will do wonderfully as a ski camera. Rylo, GoPro Fusion, Insta360 One, Xiaomi Mi Sphere, Yi 360 VR, Garmin Virb 360, are some good options.